LITTLE ITALY ARTHUR AVENUE IN THE BRONX is designated as one of the “Great Streets" of America by the American Planning Association. It's a global destination known around the world for its restaurants, handmade local and imported goods, and the authentic Italian culture that’s been passed down by the generations of families that have lived, worked, and shopped there for well over a century. Made with all natural simple ingredients. Little Italy Arthur Avenue in the Bronx is also a business improvement area where property owners and commercial tenants are dedicated to the preservation of the area by promoting business development and improving the area’s quality of life. A portion of proceeds will go towards this preservation so that Little Italy charm that people have come to know, can continue to embrace and enjoy for generations. 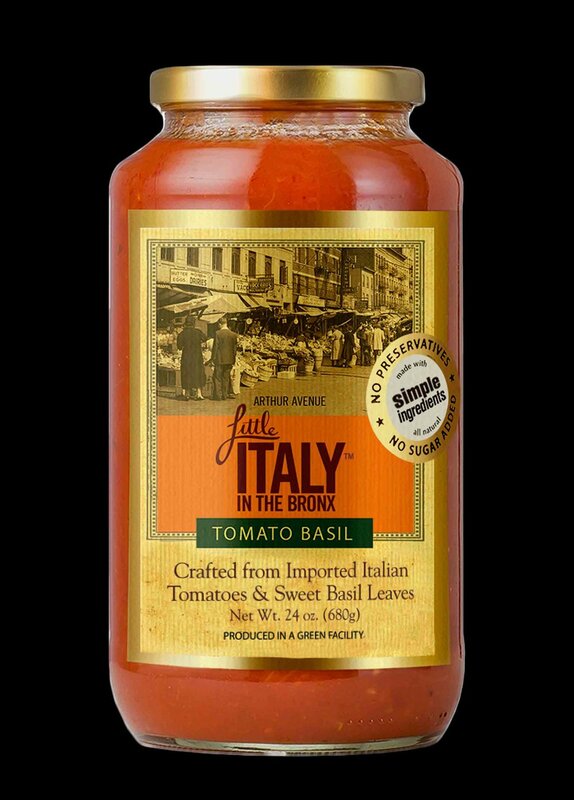 Summer Garden Foods is proud to launch its latest national brand Little Italy in the Bronx Pasta Sauces, produced at our green LEED certified® manufacturing facility. Summer Garden has partnered with the Belmont Business Improvement District, a local nonprofit organization dedicated to preserving the traditions of the Little Italy in the Bronx neighborhood for future generations. The area known as “The Real Little Italy on Arthur Avenue in the Bronx” is designated as one of the “Great Streets" of America by the American Planning Association. It's a global destination known around the world for its restaurants, handmade local and imported goods, and the authentic Italian culture that’s been passed down by the generations of families that have lived, worked, and shopped there for well over a century. Summer Garden Foods will be representing the Italian American heritage of the neighborhood by producing sauces crafted from imported Italian tomatoes, olive oil and a variety of traditional ingredients including Parmigiano-Reggiano cheese, garlic, onions and basil. The sauces will be shipping nationally with over 4,000 stores committed to launching the product. Copyright © Summer Garden Food Manufacturing. All rights reserved.